Homework has been sent home today and needs to be returned on Friday. This homework stems from the work we do in Jolly Phonics. Some students will be working with Miss Garrett (next door) so their homework needs to be returned to her on Friday morning. This work is designed to be done over the week - please do not do it all in one night. 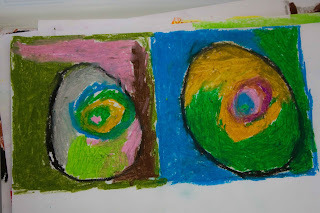 Students should be doing a small section of work at a time. In their homework folder I have also included a laminated sheet which can be used for students to practise their spelling words, as well as A to Z cards. Please use these to spell out words and play match-up games. Students are allowed to colour their picture cards if desired. Homework needs to be very neat. If your child makes a mistake please make them rub it out and do it again. This afternoon we had a look at artwork by Wassily Kandinsky, a Russian abstract artist born in 1866. 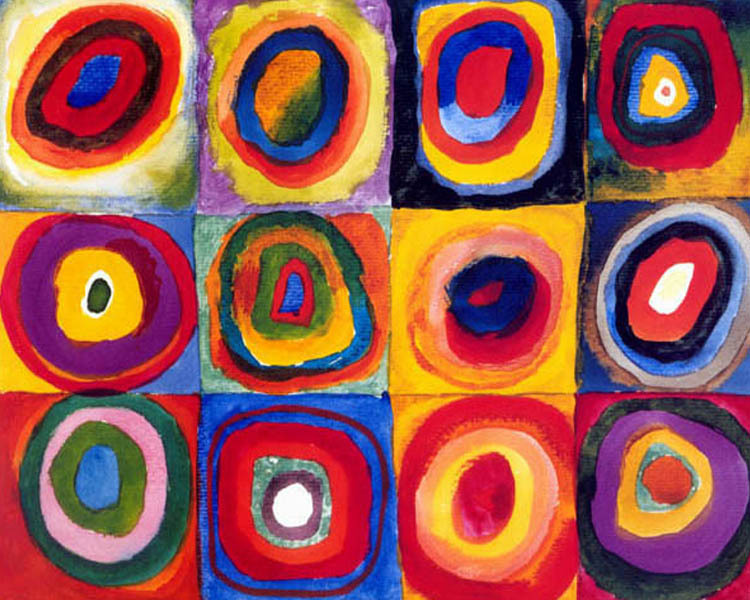 We analysed one of Kandinsky's paintings - 'Squares with Concentric Circles'. 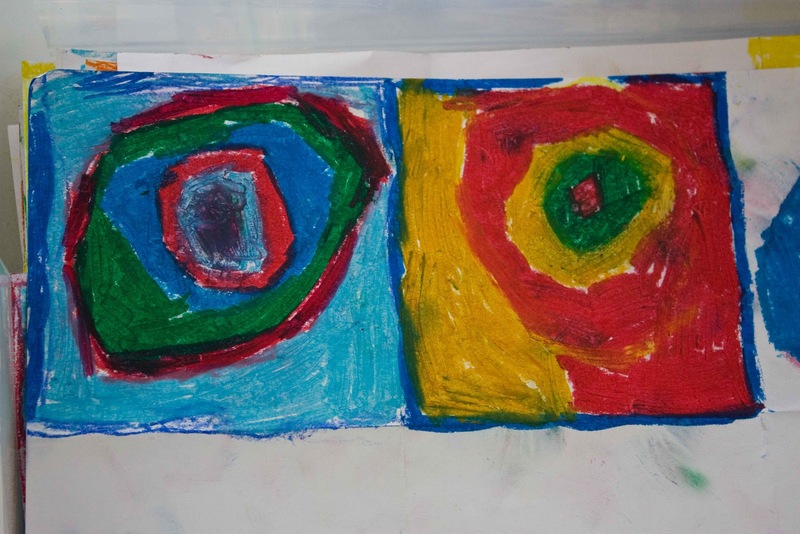 Using an A4 piece of paper folded into six, we began to create our own masterpieces using oil pastels. Here is some of our progress. In our middle session today we spent some time in small groups measuring our arms. First we predicted whose arm would be the longest. 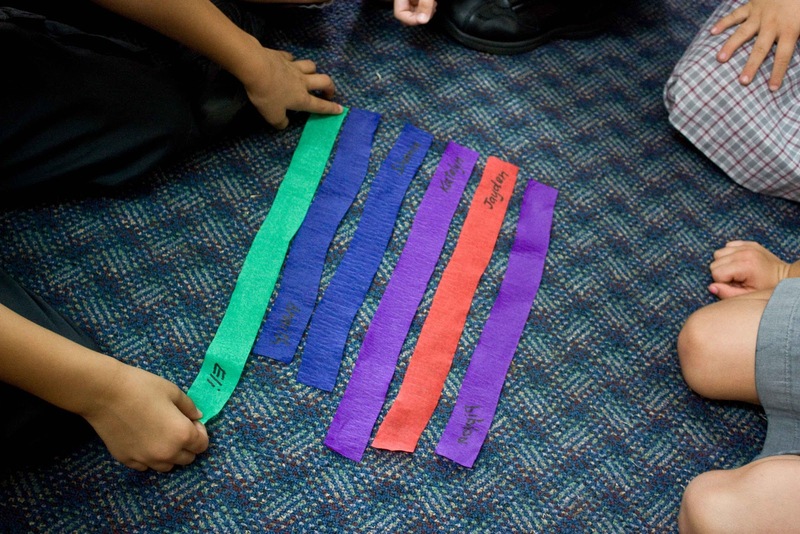 Then we used streamers to measure from our shoulder to wrist. We compared the length of our streamers in our small groups. 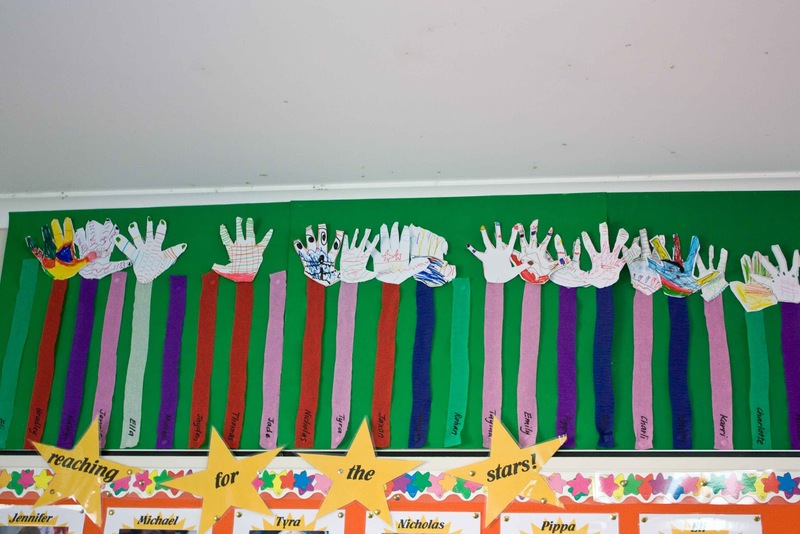 Our streamers are now displayed from the longest arm to the shortest arm. Something interesting that we noted was that Eli is the tallest person in our class and he has the longest arm, while Charlotte is the shortest and she has the shortest arm. Yesterday we discussed what a picture graph is, and how to interpret them. 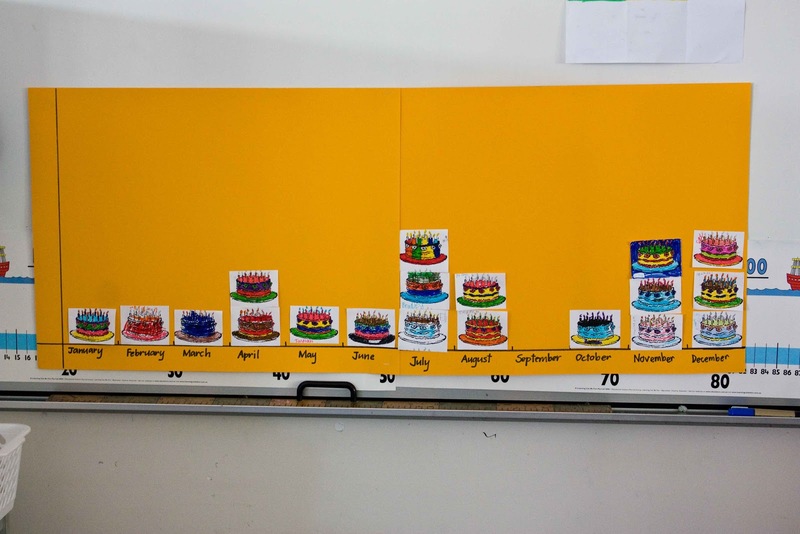 Each student coloured their own cake and glued it onto the month that they were born in. 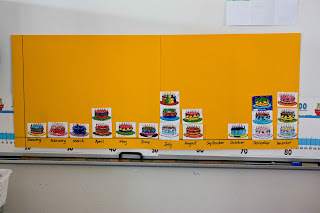 We still have a few to add before our birthday graph is complete! Earlier in the week a white paper bag was sent home with your child's name written on it. These are to kick start our show and tell days next week. 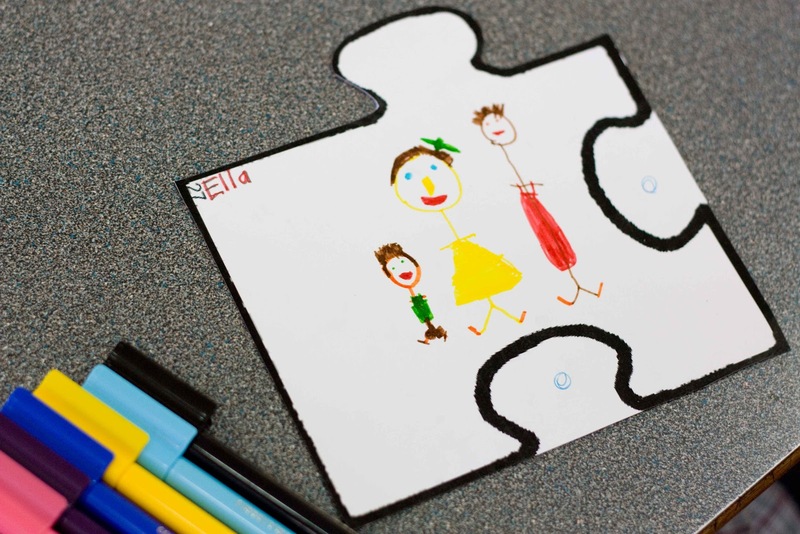 Please put 3 or 4 things in your child's bag that 'represent' them - favourite things, souvenirs, photos etc. Check the Show and Tell page to see which day your child will be presenting each week. 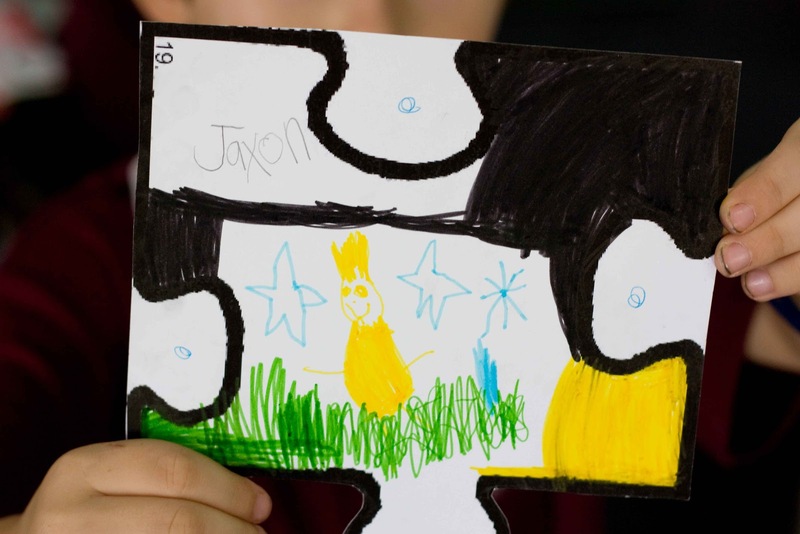 Yesterday we spent some time in the afternoon drawing on individual jigsaw pieces. The completed project is now displayed in our classroom. Today we had our first attempt at writing! We brainstormed about the holidays and then discussed what we could do if we didn't know how to spell something. There are lots of posters in our room to help as well as our dictionaries. Some of our recounts are displayed on our individual blog pages. I can't wait to look back on these as the year progresses! Make sure you visit the 'Quick Questions' page and tell us what you are most excited about for the year ahead. In the option menu just select the Name/URL tab and write your/your child's name and leave the URL blank.